Our English and Football Summer Courses enable older teenagers to build English skills in advanced academic study which focuses on university, SAT and IELTS preparation, while also developing football skills at the renowned FootballCV Academy. Students will spend a stimulating summer meeting other students from around the world, refining English and academic skills in an enjoyable way, and taking part in an exciting football programme. Excursions and activities are also included. The English Language programme is delivered by Stamford Academy and is designed for active teenage students who like to work hard and play hard. to practise English in a variety of realistic (supervised) situations with native speakers outside of the classroom. The school has four classrooms with an overall maximum capacity of 40 students. 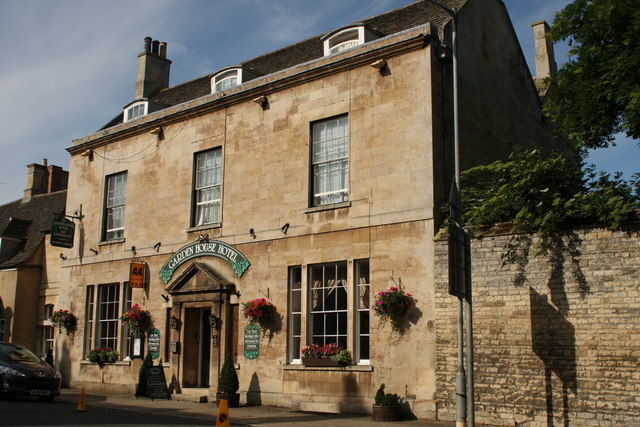 The Garden House is a two minute stroll from the Stamford Academy which is situated in the centre of historic Stamford and close to Burghley Park. Boasting 19 en-suite twin rooms, it can accommodate 16 to 42 students. The house also provides free Wi-Fi, a large lounge, conservatory dining room, games room, kitchens, laundry room, meeting room,free car parking for twenty, patio and beautiful walled gardens. Breakfast, lunch and evening meals are all provided in the conservatory dining area. The football coaching is provided by the FootballCV Academy – the UK’s first and most recognised private international football academy – and is delivered at the Borderville Sports Complex in Stamford. 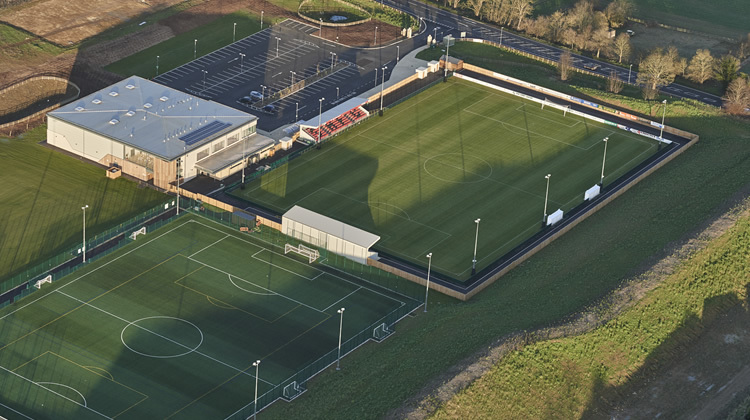 Students will train on a floodlit, full size, 3G all-weather pitch and grass training pitches. The Centre also boasts a 2,000 capacity stadium, sports hall, a fully equipped gymnasium, dressing rooms, medical room, canteen and classrooms. The coaching is aimed at all levels and ability of football and is delivered by UEFA qualified football coaches, with sessions focusing on improving a student’s individual technique, as well as tactical awareness and understanding of the game. Taking care of our students is our number one priority on Summer Boarding Courses. We do everything possible to ensure the safety and welfare of students the entire time they are with us. Some teenagers adapt very quickly to summer school life, whereas others take a little longer or require a bit more support. For many of the younger students, this may be their first time staying away from home. Even for those who have attended an international summer school before, a different place filled with lots of new faces can be daunting. Our primary focus is always on the happiness and security of the students staying with us and our staff are experienced and well-trained in dealing with issues of nerves or homesickness. We keep in close contact with parents during each student’s stay and are always there to answer any questions, before and during the summer. We want every student to return home with increased confidence, happy memories and new friendships and we understand that they will each have different needs during their stay. All areas of student welfare are provided by our qualified residential team ranging from excursions to dietary and religious requirements, making life enjoyable during their stay.Our residential team including House Managers will provide 24/7 care and supervision and are able to arrange medical help in the unlikely event that it is needed. You will need to ensure that you have the appropriate visas for studying in the UK. Please visit our Travel & Visa page to find out more. Students’ travel to and from England must be booked and paid for independently. Once your child’s place on our English summer school has been confirmed, we will ask you to provide us with the travel details. It is important that this information is provided to us as soon as possible. When booking your child’s flights to the UK, the flights should be booked for the stated Arrival Date. On the Arrival Dates, students should either arrive into UK airports for an airport transfer or should be brought to the school by Parent Transfer. Your child will not miss any aspects of the course by arriving in the UK on the stated Arrival Dates – the English language placement and induction will all take place the morning after the Arrival Date. For departure from the UK, flights home should be booked for the stated Departure Dates. Parents wishing to collect children directly from the school should do so on the morning of the Departure Date. Summer Boarding Courses offers an Airport Transfer Service for students for a small additional charge. Our clearly identified representatives will personally meet our new summer school students and will drive them to their school destination.